There’s a difference between getting your license and truly becoming a safe driver. 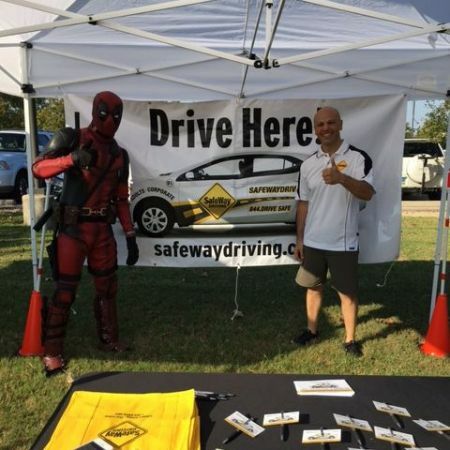 That’s what SafeWay Strategic-Partner Gary Fowler realized when he first started researching driving schools around Sienna Plantation for his teenage daughter. That’s when he discovered SafeWay Driving. The methodical approach SafeWay Driving implements gives parents peace of mind as their kids prepare to drive on their own. 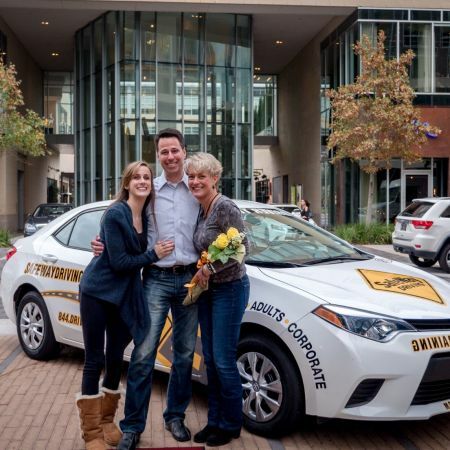 After looking into SafeWay Driving, not only did Fowler want to enroll his daughter in the program, but recognized an opportunity to bring a better driving school into his own community as well. Fowler’s passion for saving lives is only matched by that of his team: Renee’ Woods, Will Thornton and Jacob Underwood. Due to their outstanding delivery of the SafeWay Driving System and their commitment to “Preventing the Phone Call Nobody Wants”, the SafeWay Driving - Sienna Plantation Franchise was named the 2016 SafeWay Strategic-Partner of the Year! Most students consider getting their license a rite of passage, especially when they turn 16.However for students with learning differences, whether they be dyslexia, processing differences or autism, getting a license can seem almost impossible. 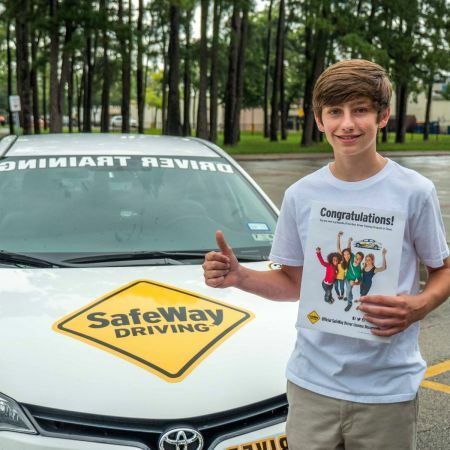 Through a partnership with Social Motion Skills, SafeWay Driving identified a need for a drivers ed program that presented the information in a different format, specially designed for students with learning differences. 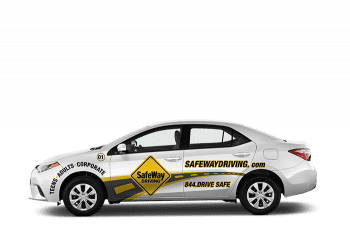 Since 2012, SafeWay Driving has worked with countless students with various learning styles, training and preparing them for today’s challenging roadways. When Dawson received his license, he also received the independence he craved. Whereas before he was unable get a job due to a lack of transportation, he started working at a local restaurant in the same shopping center where he met his instructor for his behind the wheel lessons. As for his parents? They have peace of mind when their son is behind the wheel because they know he received the best driver training in Texas. Losing a parent is heartbreaking and painful, but it’s nothing compared to the loss of a child. That is why Gary Green channeled the grief over losing his beloved mother, Virgina Green, into establishing a scholarship opportunity for disadvantaged teens to get the best driver training in Texas. Green has been instructing teens with SafeWay Driving for over 9 years and in addition is also a certified paramedic with Cypress Creek. Between his experience as a paramedic and a professional driving instructor, Green has seen first-hand the importance of providing a structured driver training program to young teens. The proprietary SafeWay Driving System teaches disciplined driving by creating mindful choices and habits. Green’s generous support of students in his local community is one way he is working to ensure that every student arrives the SafeWay. "Your program has been so wonderful and definitely fills a need in south College Station. I personally have had 1 kiddo go through CSISD’s driver ed and two more do parent taught. Your program was the best by far. I definitely “highly recommend” your company to all my friends who ask about drivers ed options." The Brent Event Foundation was organized in honor of Brent Weaver, a Clements High School graduate, who battled Ewing's Sarcoma, a rare bone cancer, and passed away in 2011. The foundation was set up to help ease the financial burdens of cancer patients and their families. SafeWay Driving First Colony sponsors the Brent Event each year, which consists of a 5k, 10k, 1 mile walk, Kids Dash, and Carnival. There is something for the entire family and 100% of the proceeds go to individuals fighting cancer. Since 2012, the foundation has given more than 75K to cancer patients to help them ease the financial burdens that accompany cancer treatments. We would love to have you come out and support our cause. Click here to register and learn more about Brent.